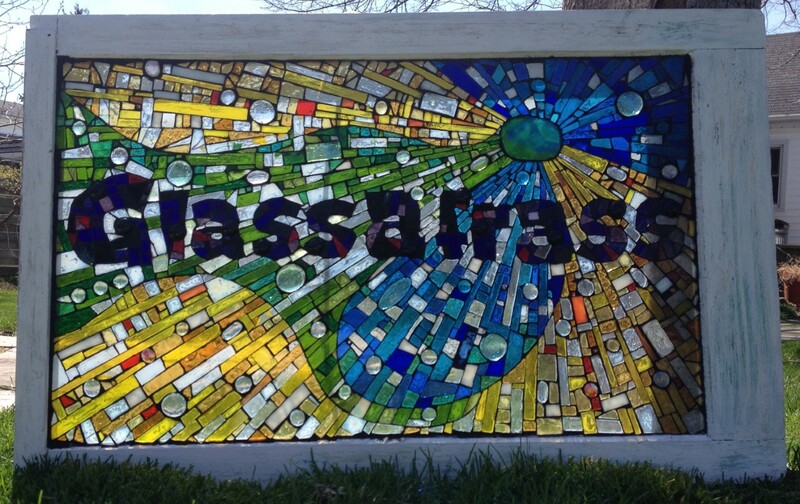 Glassafrass is a home-based business in St. Thomas, Ontario. I am currently working on some pieces for the garden and hope to have them displayed soon. The following pieces are available for sale, and I would be happy to discuss a custom one-of-a-kind piece of art created just for your home or garden. Vintage window sign .. perfect for my company sign. 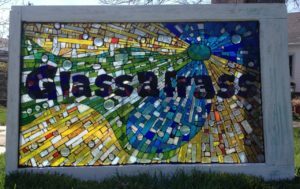 I have been working with stained glass and mosaics for the past 10 years and recently launched my home-based business. I have posted pictures of many of the pieces I have in my home or have given away to family and friends as gifts. I’ve also started to show my work at local art and craft shows. This provides the opportunity to meet with people, show my work and discuss custom designs. I will be adding to my gallery as I complete new pieces. There are so many styles and designs I want to try. If you would like to see anything specific or have any comments on my work, I would love to hear from you.